It's almost certain that as a pet owner you will have to transport your pet by car either when coming to see us, or when out and about. Knowing what to do and what not to do will make for a safer ride for both you and your pet. 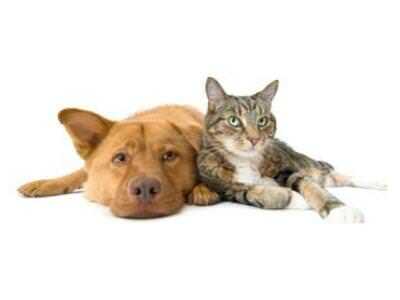 The following excellent article is reprinted from K9 magazine and has some very helpful tips. We all know that our dogs love to join us wherever we go, be it walks, holidays or even just a run to the supermarket. We need to ensure that when our dogs join us in the car, or any moving vehicle, that certain safety measures are put into place, for our safety and theirs. If we crash or have an accident, more often your dog will come off worse if they are unrestrained. They can also cause crashes if they decide to suddenly leap onto your lap if frightened or startled. Your pet needs to be safely secured in a pet carrier, a dog cage, seatbelt harness or behind a dog guard. The most suitable restraint will depend on the needs of your pet, the size of your vehicle and also the size of your dog. Always make sure your dog is walked to and from the car on a lead, just in case of traffic or if your dog was to make any sudden movements. For small dogs, or other small pets, a pet carrier is a good transportation method. Dogs should be placed in the carrier before reaching the car. It needs to be a comfortable size for your dog and should be held in place with the seat belt or by wedging it firmly in the gap at your feet. Never put a carrier in the boot of your car as your pet could suffocate or be knocked around if the carrier becomes loose. A travel cage is suitable for most dogs and is often the most popular method of dog transportation. You need to leave plenty of space around the crate to allow for ventilation and movement, and ensure it is secured with the seat belt. These crates can often be securely fitted in the boot of an estate car. 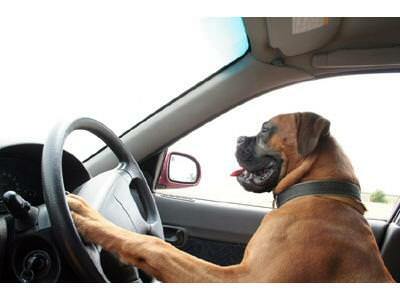 You should always make sure your dog is not placed where an air bag may cause any damage and suffocate your dog. For most dogs – a safety harness can be attached to a car’s seatbelt to ensure that they do not move from their seat, very similar to how ours work. It should be securely fastened before the car moves to ensure the dog is comfortable and won’t get tangled in the straps. You can also get dog guards fitted in the back of estate cars and larger vehicles with a large, open boot area. The guards restrict your dog from accessing any other part of the car but will not protect them in an accident. You can also buy safety harnesses that will stop your dog from moving around in the back of the car. If you are unfortunate enough to have a crash whilst your dog is in the car, quickly try and calm your dog down by taking the carrier to a quiet place. Make sure you have them on lead so that they do not run off or into traffic. If you think that your dog is hurt or in pain then call a vet right away. Check that your dog is covered by his insurance for car accidents. If you feel that your dog doesn’t cope too well in vehicles, consider having travel training for your dog from a qualified dog trainer.